The Lyceum Library name was used for a juvenile series published around 1881-1882 by Phillips & Hunt (NY) and Walden & Stowe (Cincinnati). 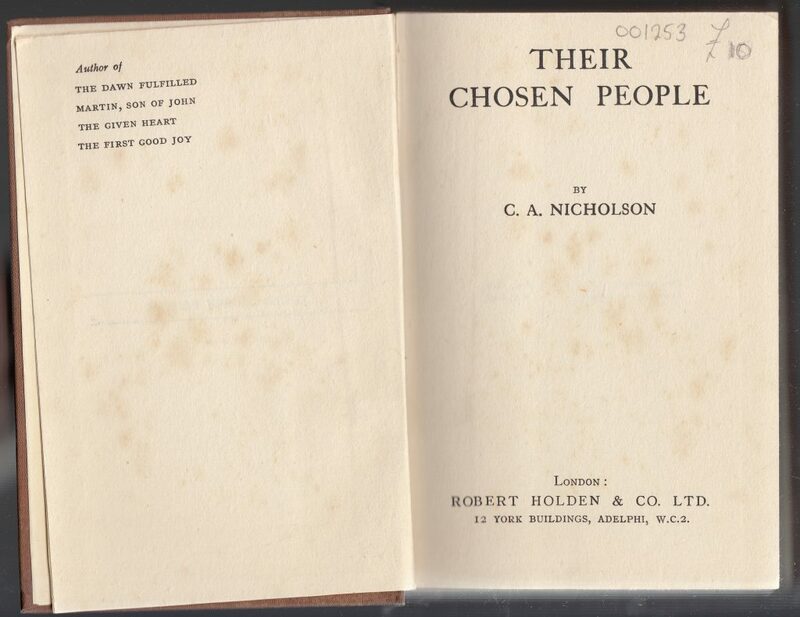 London publisher Robert Holden & Co. Ltd. reused the name for a diminutive series, reaching only two titles, both published in 1925. Holden issued several series around this time (Fortune Play Books, Horrid Novels Series, and Library of Imposters Series), none of which included more than a half-dozen volumes. C.A. Nicholson’s Their Chosen People was the first title (series #1) in the Lyceum Library, published in May 1925. Jackets are common to the series, with a conservative jacket design printed on heavy kraft paper. The jacket spine includes the author and title and publisher, but also the series name (in a series colophon), price (3/6 net) and series number (in this case, #1). 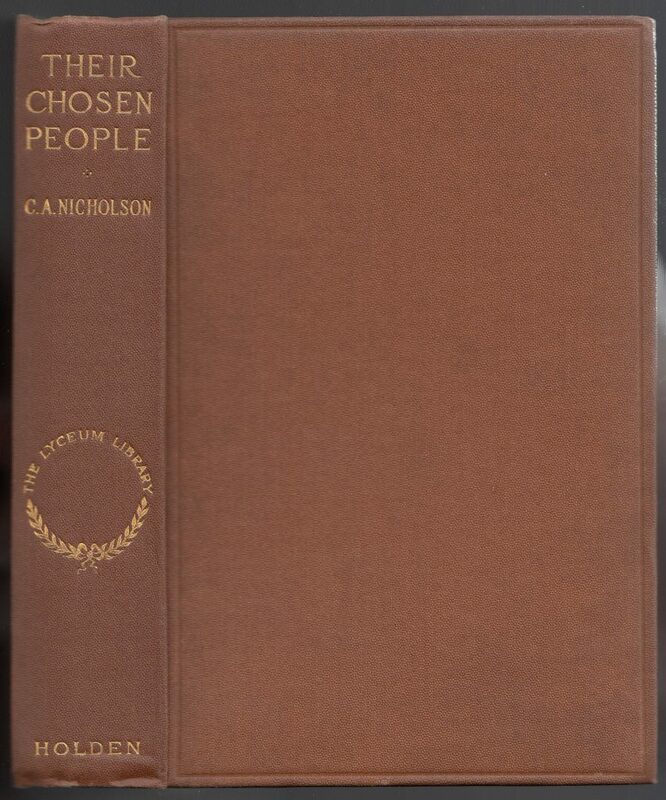 The jacket front frames the title, series colophon, and author. 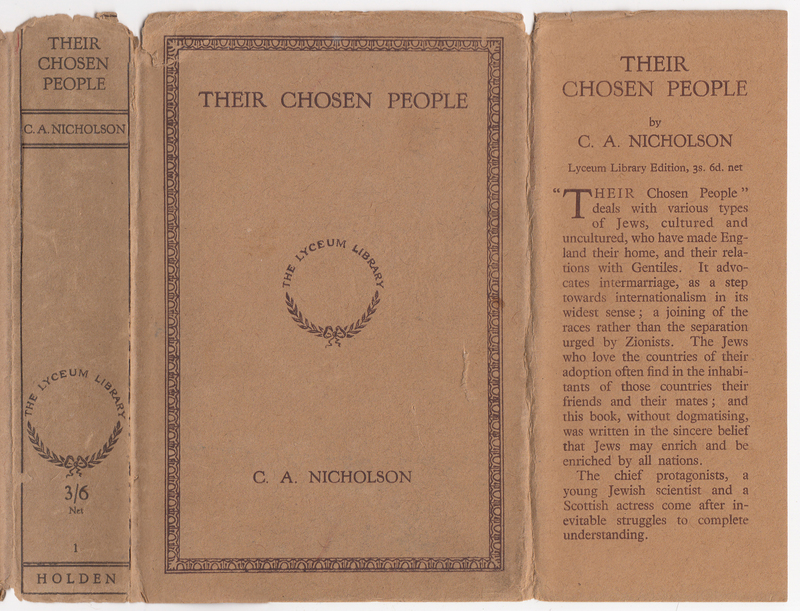 The front jacket flap describes the book. The rear of the jacket includes a blurb for the series, the size (Crown, 8vo), binding (cloth) and price (3s/6d net). 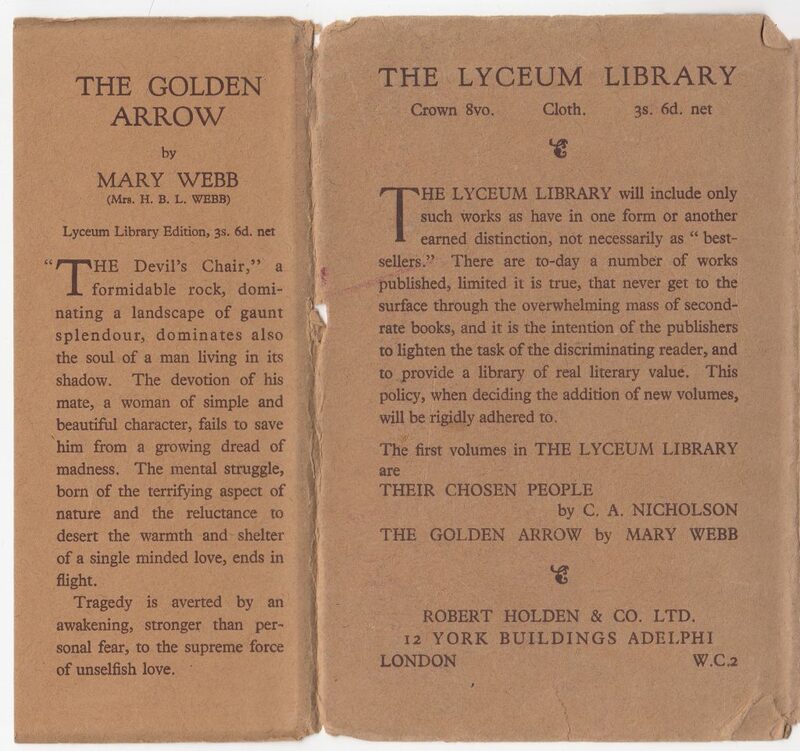 #2 in the series, Mary Webb’s The Golden Arrow, is noted on the rear of the jacket and is blurbed on the rear jacket flap. 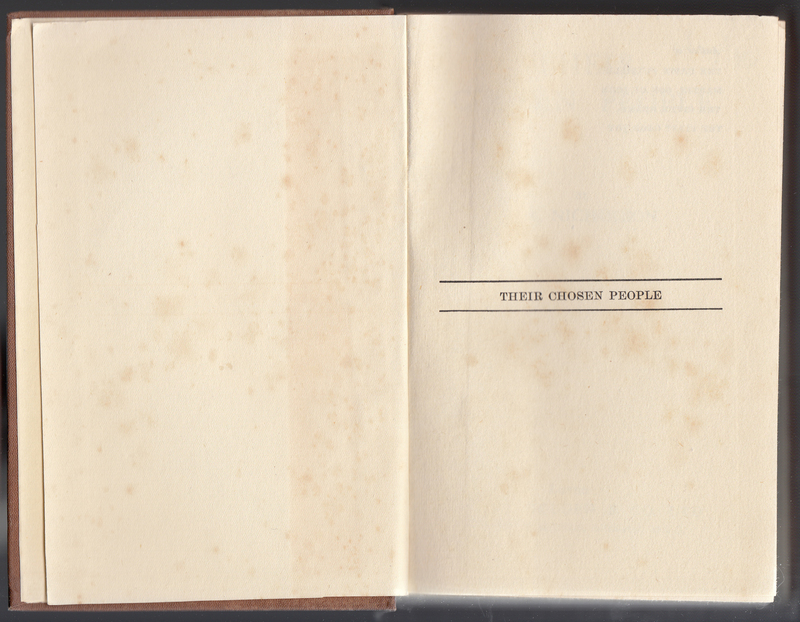 The book is bound in turd brown with gold type and decorations on the spine, including the series name/colophon. The front of the book is plain, with a frame debossed around the edge. 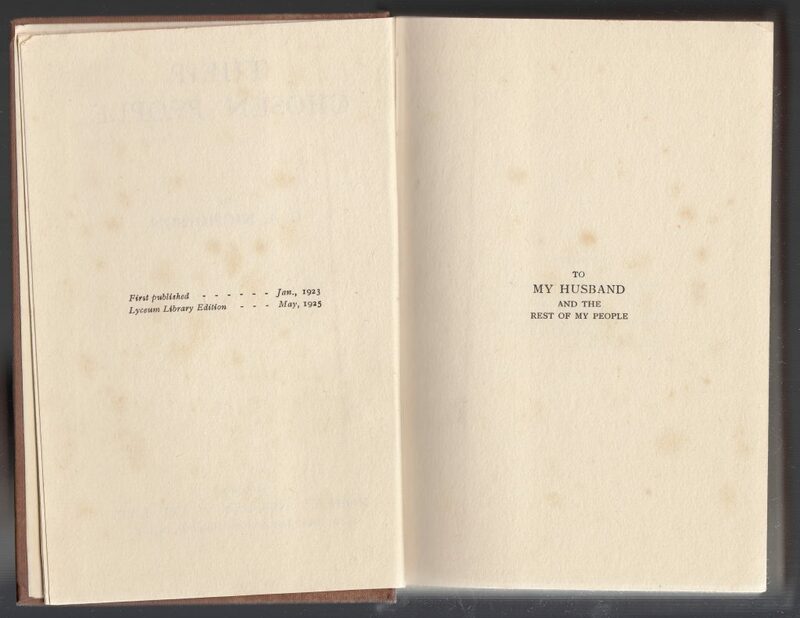 The half-title page with the book’s title cased by two lines. Four titles by the author are listed and face the title page. 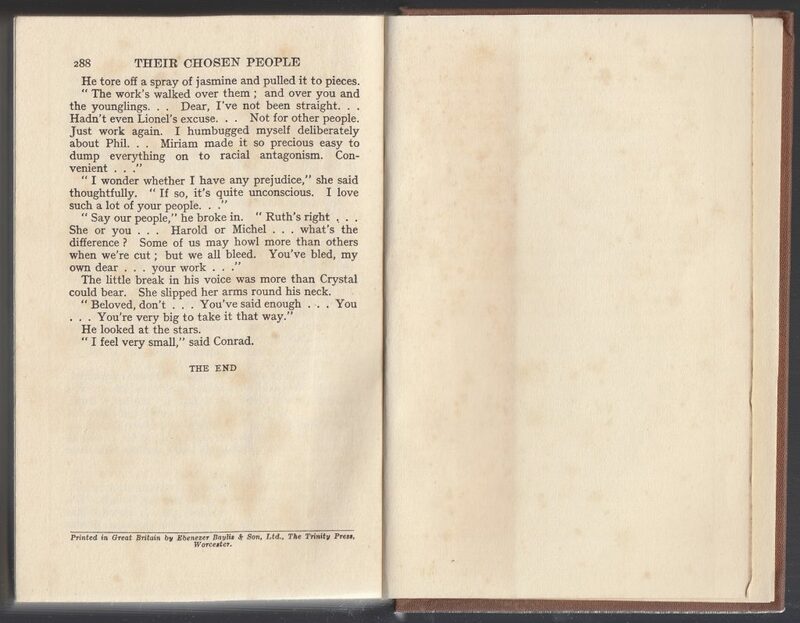 The copyright page includes the date of the original edition (January 1923).